You can cancel right from the app. Please give us feedback so we can improve! We're sorry if Buddy Punch wasn't a perfect solution for you. 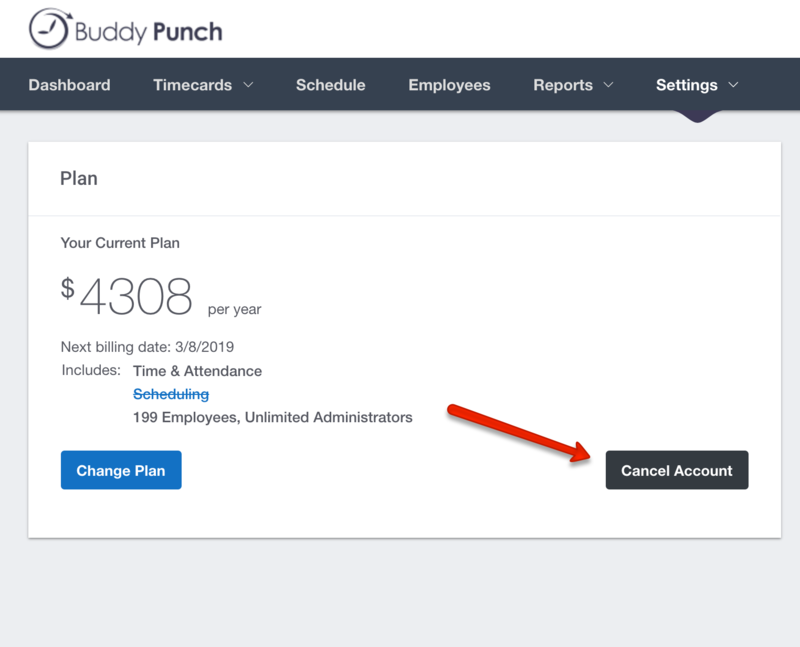 When you sign in as an administrator you can close your account directly from the dashboard.